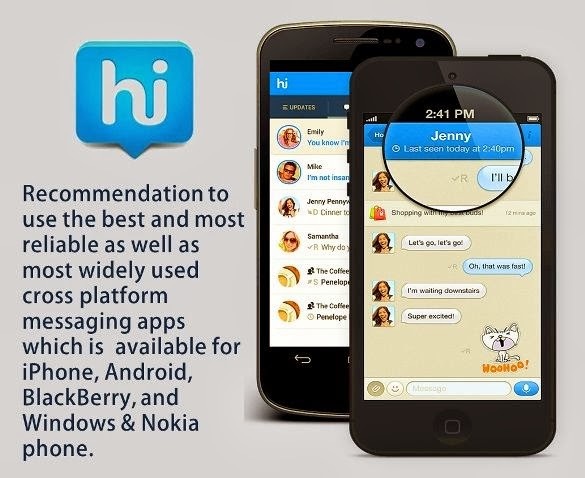 Today we are gonna recommend you the best cross-platform app - Hike Messenger that we think you should check out if you need a better way to communicate with all your friends who are on any OS like Android, iOS, BlackBerry, Windows or even your old Nokia Symbian series phones. The Hike is presently the most popular messaging platform in India. Hike Messenger: Latest News, Videos & Photos about Hike Messenger - The most important thing is that it's the first Indian messenger app made in ❤ with India, by Kavin Bharti Mittal, the founder & CEO of Hike Messenger. Hike Messenger is the only app compared to another Indian app has crossed the 110 million users in January this year on Google Play. Best features are; free group calls with up to 100 people, Share files up to 100MB, free hiking stickers & free hike SMS. Learn how to get used to with instant messaging app, chat, share files & how to send SMS from hike without Internet. You can send messages from your Android to iPhone to Nokia to BlackBerry and vice versa. Mobile messengers are all on the top now as per the user usage. When it comes to messaging technology, there is definitely some limitation present. Most of you have friends that don't have BlackBerries but iPhone or Android or have Nokia instead. As we know apps like BBM or iMessage are made exclusively for their particular mobile brand OS, so you need to find another option to communicate with your friends on other cross platforms. Domestically it's a viable option in case of texting, so international messaging is still an issue for most of us. The Hike comes with free instant messaging and free hike stickers. Some of you need to know how to send free SMS from hike? And you will get amazed when you are on Hike app. Moreover, the Bluestack allows us hike for PC. Hike Messenger is an easy and convenient way to converse with friends and family either over WiFi or over the cellular network. It focuses strictly on messaging. With support for push notifications, group conversations, and more, it's a message option that your friends are most likely already tied into. As compare to Whatsapp, With over 2 million registered users, you may find more people using it than you think. The hike is also available for a broad number of platforms including iPhone, Android, BlackBerry, Windows Phone, Nokia S40, and Symbian. That should about cover any platforms you need to. Hike also supports unlimited group messaging as well as unlimited audio, video, and photo sharing. It's also got a pretty nice interface which is an added bonus. 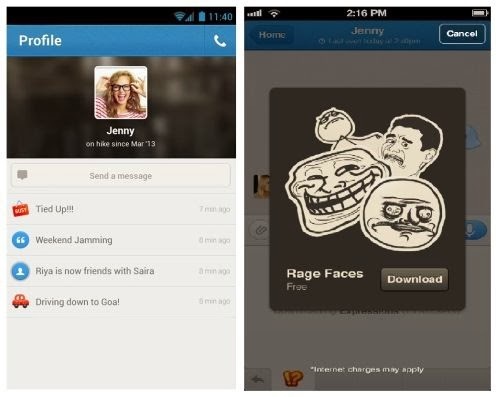 It's like Whatsapp/BBM/kik/FB but with so much more characters, lots of smiles, featured smiles and advanced features. It's beautiful yet simple. Great way to keep in touch with close friends. Think of hike messenger as it’s made for the new generation.